Deadline - Four days after Deadline scooped that Bruce Willis exited the ensemble cast of Woody Allen’s new film, Steve Carell has been tapped to take over the role. He now joins a cast that includes Blake Lively, Parker Posey, Kristen Stewart, Jesse Eisenberg, Jeannie Berlin, Corey Stoll, Ken Stott, Anna Camp, Stephen Kunken, Sari Lennick and Paul Schneider. The swap-out keeps the production on schedule for the pic, which as usual is being kept under wraps. It shoots this month in New York and Los Angeles. 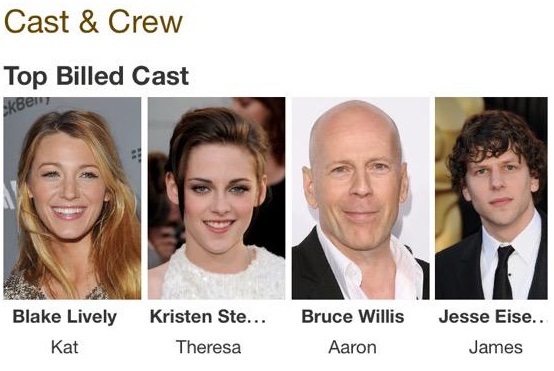 The IMDb page for the Woody Allen untitled project has been updated with the characters' names. Remember: Filming is set to begin on August 17 in Los Angeles until early-September, then in New York until mid-October.